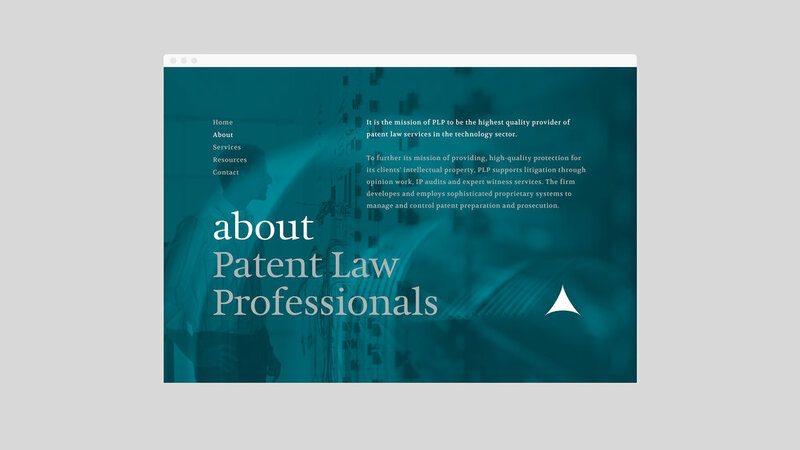 PLP works with some of the biggest names in technology to develop patents for some of the worlds most imminent products. This called for an identity that reached beyond a typical law office and brought out the defining characteristics of their practice. The tri-point icon symbolizes the dearly coveted spark of innovation. Perhaps the most important part of a technological invention isn't the part you see and touch but rather the part that makes it tick: the inside. Consequentially, PLP's services involve outlining the circuitry details to protect from infringement. In attempt to illuminate this otherwise obscure idea, I wrote a concise brandline and created brand imagery that brings it all to the surface, so-to-speak.